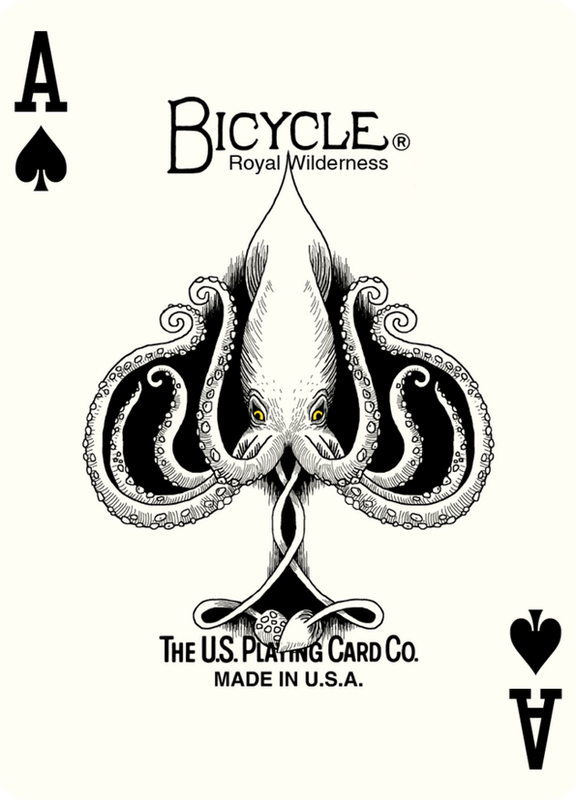 Lions, Dragons, Deer, and Dire Wolves, immortally captured on Bicycle Branded Playing Cards. 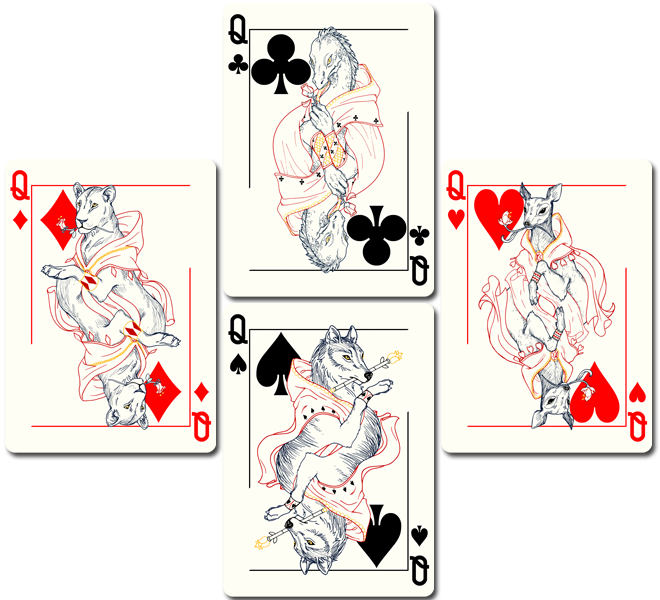 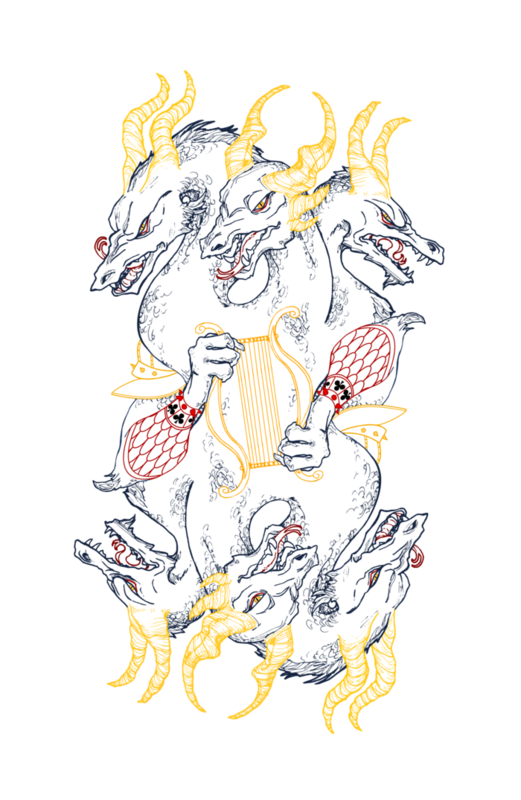 These animals are at war… This is a set of Playing Cards showing four animal factions, personified as the Court of each Suit. 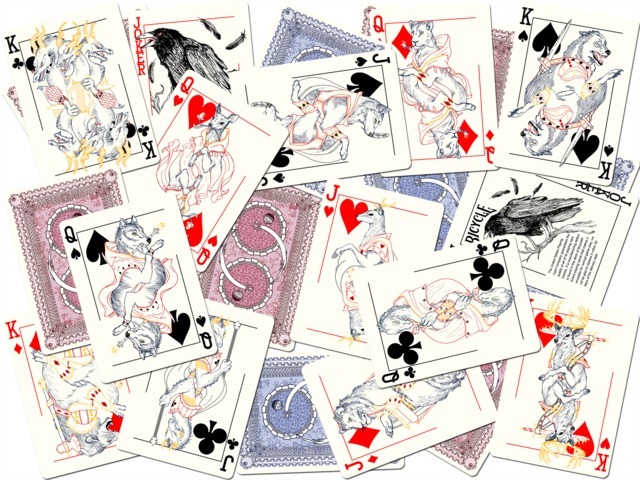 Brett Dudo in collaboration with Anita Birgány (handled the wildlife) and Eleanor Lutz (designed the unusual and very interesting back design) created a concept of this deck. 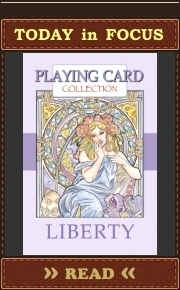 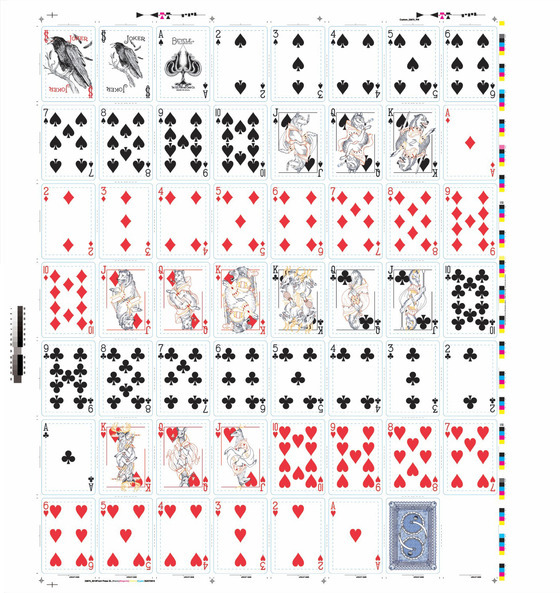 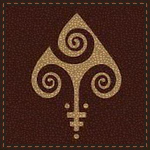 This poker deck is planned to be printed by USPCC. 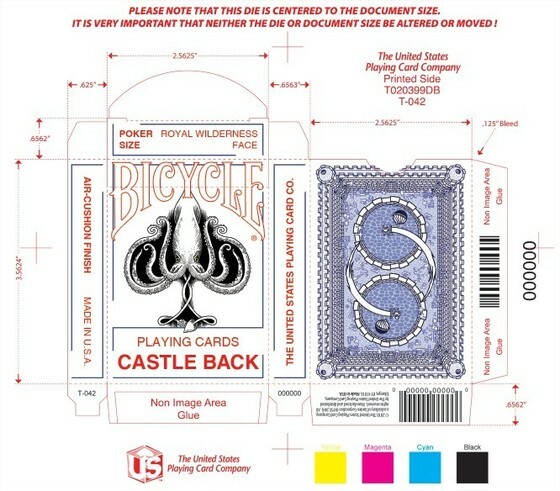 Inspiration for the back design came from the classic Bicycle Rider Back – the 2 main circles, and the larger connecting circle caught Brett’s attention. 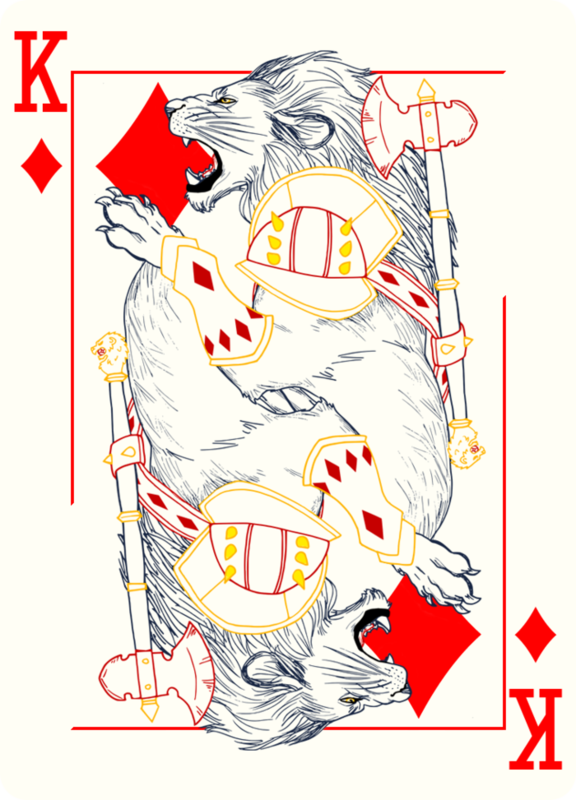 So with a help of Eleanor Lutz he combined that concept with a castle theme which fits royal animals from this deck – Royals should be in a castle. 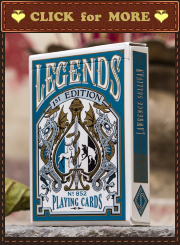 This project will only be funded if at least $6,500 is pledged by Saturday Aug 3, 4:59pm EDT. 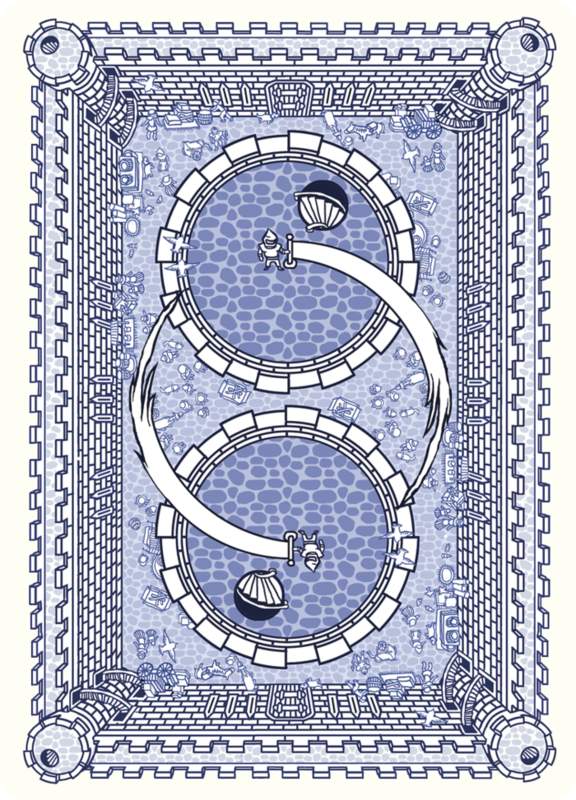 Only blue back will be available.